Tomorrow is our 8 year wedding anniversary! Time is speeding by and I can hardly believe it. Plus Lucille turns 6 this month. April is always a busy month around our house. This past week was pretty relaxing - after we got back from a quick trip to Southern California, but I expect it to pick up from here. Plus we go to Joshua Tree and celebrate two Easters. 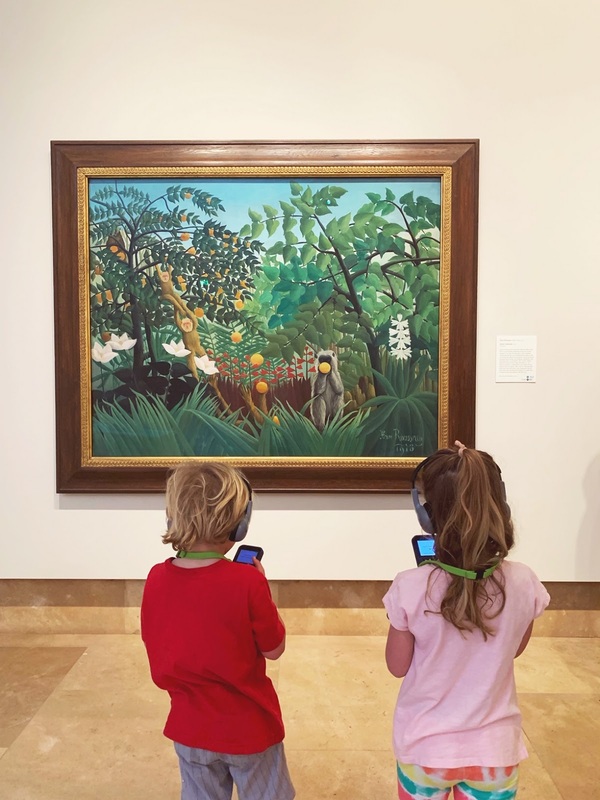 The picture of the kids above is from the Norton Simon Museum in Pasadena - which the kids really enjoyed. They knew this Henri Rousseau painting from this Spot the Difference book. Most popular baby names of 2019. While Gus isn't on it, Lucy is. And Atticus was on the short list of names we considered for Gus too. We got an Echo at our house (not really sure what took me so long?) -- but it means we are all going to be getting to experiment with Alexa. The kids can't wait. I want this for my house. I'd just need to find a house plant other than bamboo that I won't kill. If I had more time...(famous last words...) I'd do some of these cute random acts of art. Happy weekend friends. I promise more blogs after I get my taxes filed.